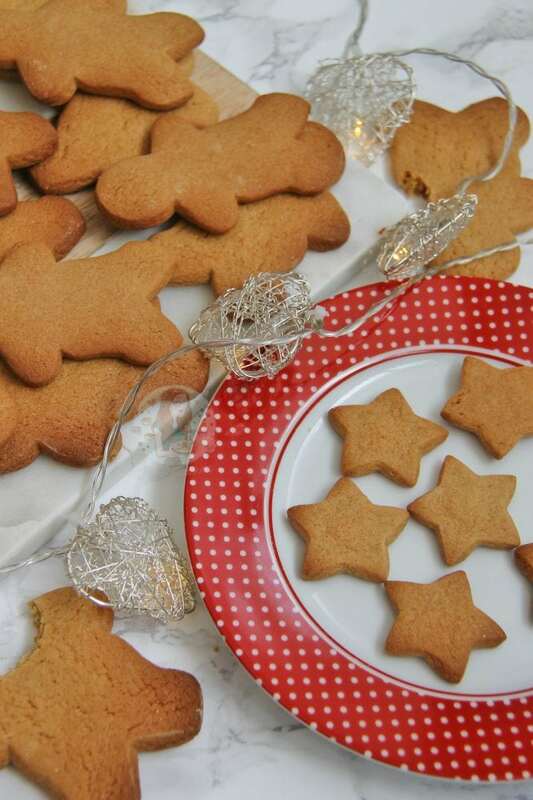 A Chewy & Crunchy Christmassy Biscuit that everyone will love to Bake & Decorate! I have been asking on my Facebook page recently what sort of Christmas themed recipes everyone wanted and this was 100% one of them – like so many people asked for it, I couldn’t not bake it! 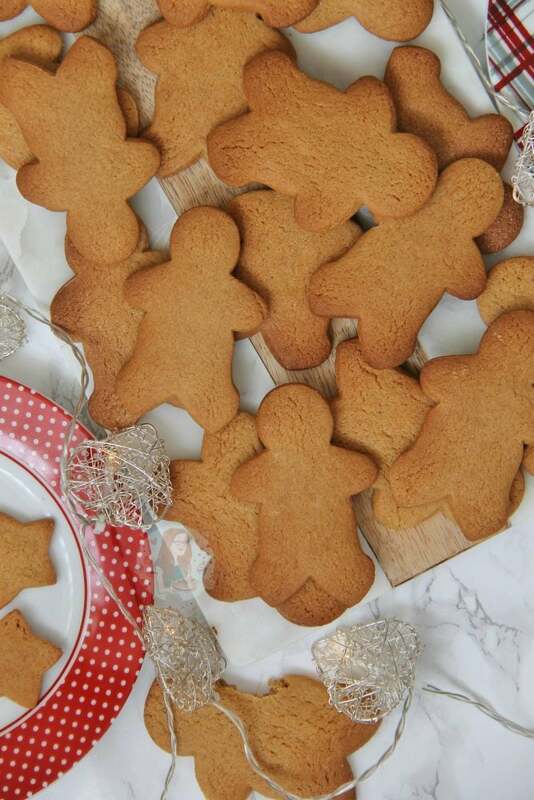 The only other Christmassy biscuits I have on my blog already are my White Chocolate & Cranberry Cookies and my Chocolate Orange Cookies and others – and don’t get me wrong, both of these are delicious – however, they aren’t gingerbread men. 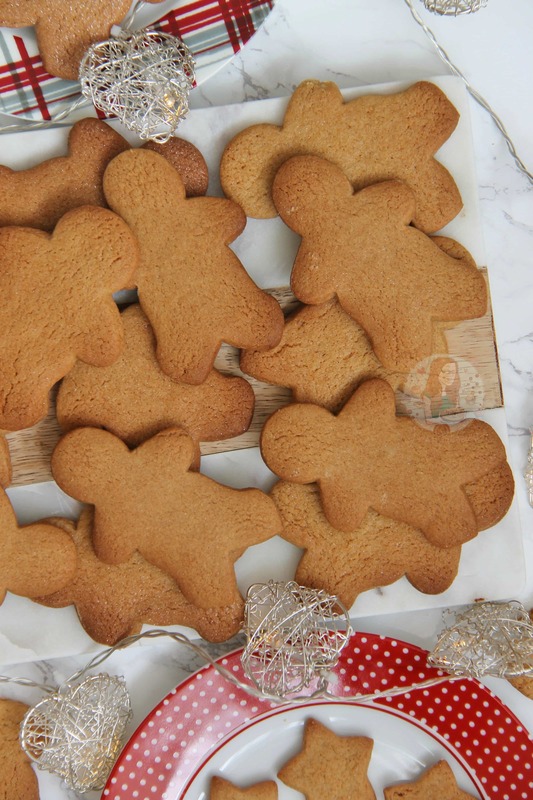 I have had my troubles with gingerbread over the years strangely enough, even if it seems like one of the most common Christmas bakes. I have tried other recipes and they have all gone so wrong – spreading so much they form a giant cookie, or being so crunchy I feel like my teeth will break – this recipe though, its the perfect mix of crunchy & chewy, and they don’t spread! The men actually still look like men when they come out of the oven! But anyway, this recipe honestly is my go-to gingerbread biscuit recipe, I have never failed with it since I developed the recipe and it has been a massive hit with all of my taste testers over time. I find it’s the perfect mix of all things spicy, and the biscuit is both crunchy and chewy at the same time which is what I am after in a Gingerbread biscuit. Yes, I realise you are supposed to call these Gingerbread Biscuits, or Gingerbread People these days, but I stuck with the classic name. Also, the cookie cutters I have used for years are some my granny had, and the ‘female’ one was lost a long time ago… Needless to say, I could have just bought more, but I wanted to stick to traditions in my festive baking ways. I updated the photos for this post when I created my Christmas Ebook, but the recipe has stayed the same. It’s not something I personally want to mess with any time soon! This sorta recipe is the perfect bake to top and decorate the Gingerbread Drip Cake recipe I have, and my Christmas Gingerbread Cake recipe! 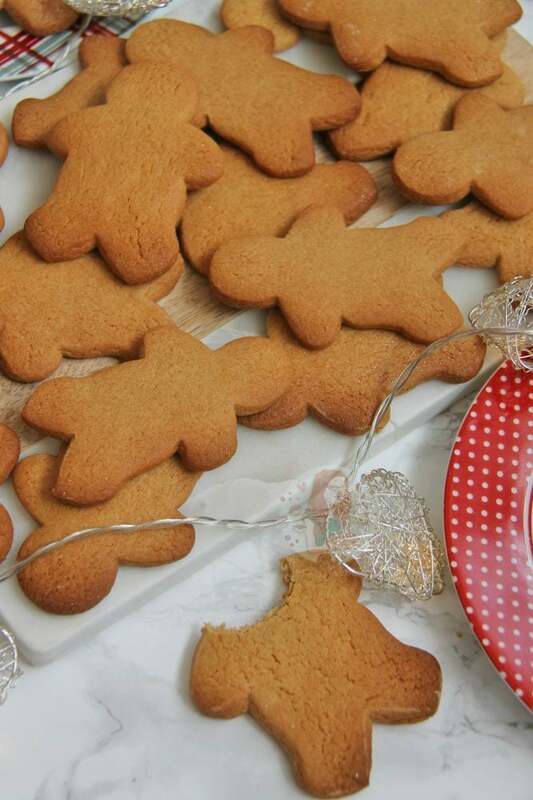 I get several messages every year about what my favourite Gingerbread Biscuit recipe is and have I got anything to save the bakers from every other recipe they have tried, and this one is the solution. That is not meant to sound bigheaded in any way, but I honestly have never had any issues with this recipe in the entire time I have baked it. As I write this, its the day before the 30th of November, so all I can think about is how its ‘officially’ the festive season starting tomorrow, and how I can start munching on my Advent Calendars tomorrow. 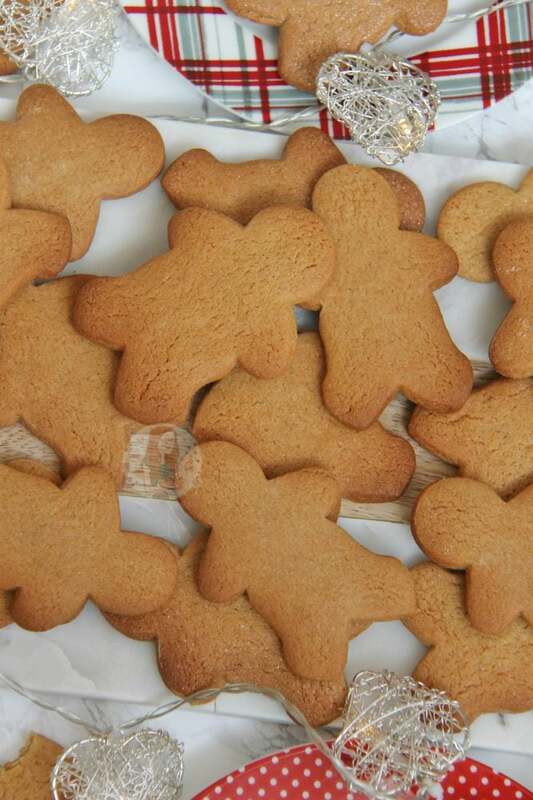 Every year, I bake Gingerbread Men to munch on, and they last a good while as well. One of the best tricks? Making a Gingerbread Hot Chocolate and dunking *several* biscuits into the drink whilst decorating the house. 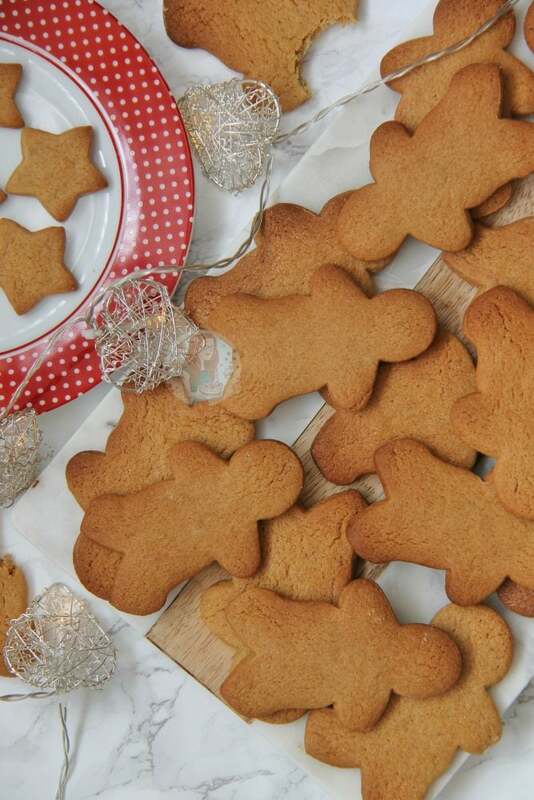 Gingerbread is one of the simplest, but best festive bakes around. 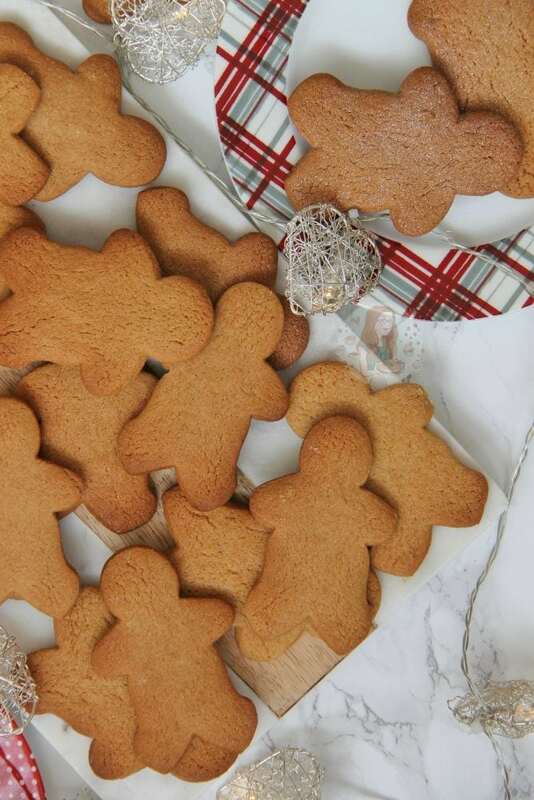 There is the occasional person out there that doesn’t like Gingerbread, which is fair enough, but you can easily play around with the levels of spices to suit your personal tastes. I like my biscuits to be really ‘Gingery’ but my Fiancé prefers them to have a bit more spice from Cinnamon in. 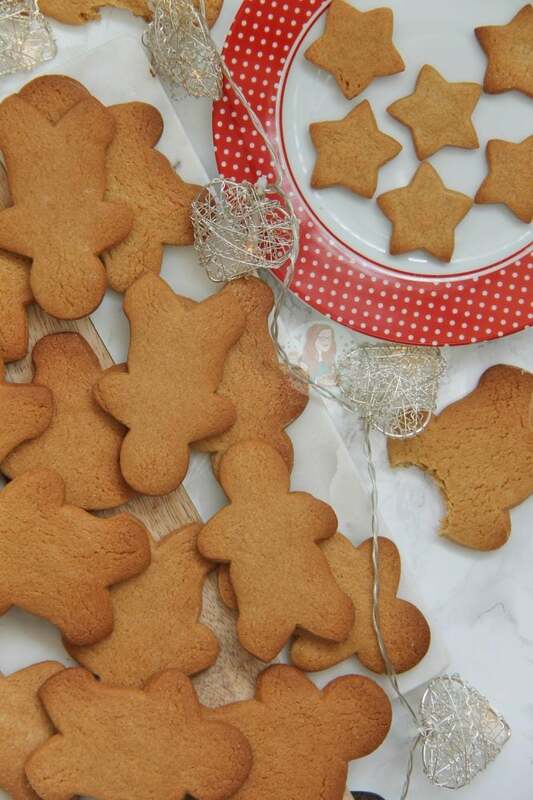 A Chewy & Crunchy Christmassy Gingerbread Men Biscuit that everyone will love to Bake & Decorate! Mix the sugar into the mix and combine, and then add the Golden Syrup and Egg - beat with a spatula/your hands until it is a smooth dough. Knead the biscuit dough, and then Roll the dough out onto a lightly floured work surface. Roll it out to 1/2cm thickness and cut out your desired shapes! I did Gingerbread men, snowmen, and Christmas trees! Place them on the lined baking trays and bake in the oven for 10-11 minutes, cool on a wire rack fully, and then decorate how you please! These biscuits will last for about a week in an airtight container, if they last that long! It's best to decorate with things such as sweets, chocolate, or royal icing! I don't chill my dough before baking. You can add in 1/2tsp of Cinnamon, Nutmeg and All Spice if you prefer it spicier! 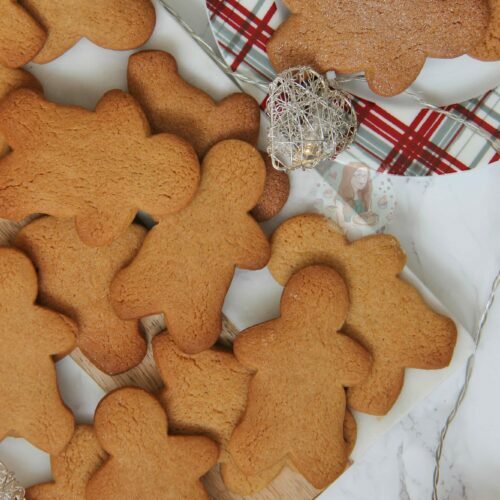 Find my other Cookie/Christmas recipes on my Recipes Page! Older Next post: No-Bake Baileys Cheesecake! Newer Previous post: Red Velvet Cupcakes! Can I recplace the golden syrup by somenthing else? It’s not a common product to find in Belgium. I’m not 100% sure I’m afraid, but after a google it says maybe Corn Syrup?! Is there a step missing? Where and when do you add the sugar, golden syrup etc? Can I leave the dough in the fridge overnight and bake them the next day? I’ve never tried I’m afraid but I guess replace 25g of the flour with cocoa powder! Love these…but could they be made with gluten free flour? Yes you can! But sometimes you might need a bit more flour as it can be sticky using it! Yuuuum! Definitely going to make these as part of my holiday baking. Cant wait to make these!! !